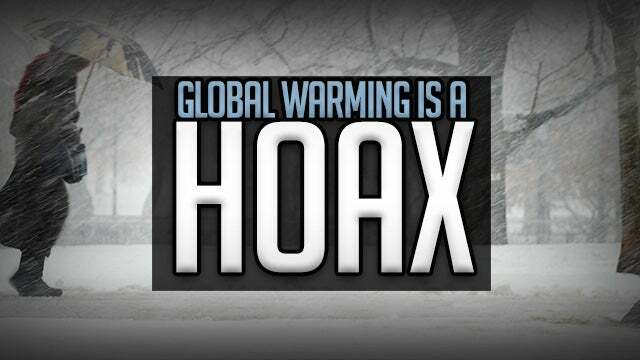 RUSH: There’s new news about climate change. And this is in a journal of great repute. This is in the journal Science. And it’s not a fringe outlier journal. This is one of the mainstream, universally accepted scientific journals. And there is a story — it’s not a story. It’s a report. It’s a scientific report that carbon dioxide, CO2, that which causes the greenhouse effect, is much, much, much less impactful than anybody knew. Do you know why? Because there’s more nitrogen out there soaking it up than anybody knew! According to this story, climate change “scientists” — and I put that in quotes ’cause I think they’re political activists. But climate change activists think that plant life is the only source mitigating the amount of CO2 in the air and that because there’s not much else in nature to deal with it, it just builds up and builds up and builds up and builds up and eventually we’re all gonna fry! Well, these guys, these scientists have discovered that there is more nitrogen in the air than anybody knew, which is mitigating all of this new CO2 that we’re pumping out via the use of fossil fuels, and they go on to say that the long-term impact of climate change is going to be much, much less. Now, this is in the journal Science. I want to see if this makes any impact. I don’t think it’s going to. I think it’s gonna be ignored. I think if it’s not ignored, it’s gonna be blown to smithereens, because climate change is a political thing. It’s a political element. It’s a political movement. It has nothing to do with science. And I don’t know these scientists that wrote this — it’s a peer reviewed article, but even with that the climate change people don’t want there to be good news. It’s just like the race industry does not want a solution. It’s like there isn’t a bureaucracy in the world that wants to go out of business. The purpose of bureaucracy is to stay in business and to grow. And any bureaucrat will tell you that. And the fastest way for a bureaucracy to remove itself is to solve problems. Well, it’s the same thing with the climate change movement. They don’t want any evidence accepted that climate change isn’t as bad or that it isn’t happening. There’s too much money involved, and there’s too big a political agenda involved. But the interesting thing about this, to me, is that this is all based on science. That these scientists have taken the scientific reasons given for climate change, they have responded with their own scientific research and their own science refutes the so-called settled science of the climate change advocates. Now, here’s another thing. In science, how many things are ever really settled? In truth, the answer is very few. Science is an ongoing curiosity. Science is an ongoing investigation. Science is ongoing trial and error. Science never ends. Science is always trying to establish things irrefutably. But very few things ever reach that level. A consensus of scientists doesn’t mean anything because science is not up to a vote. Science is not democracy. It’s not part of the democratic process. And when these people come along and say climate change is settled science, they’re just trying to shut down debate and shut it off.